“Hilarious, wickedly original and crazily quirky” (Neil Pond, Parade), The Happytime Murders is directed and produced by Brian Henson (The Muppet Christmas Carol) alongside producers Jeffrey Hayes, Melissa McCarthy, and Ben Falcone. The film also features an all-star comedic cast including Melissa McCarthy (The Boss), Maya Rudolph (Bridesmaids), Joel McHale (“Community”), and Elizabeth Banks (Pitch Perfect). The Happytime Murders is a raunchy comedy set in the underbelly of Los Angeles where puppets and humans coexist. Two clashing detectives with a shared secret, one human (McCarthy) and one puppet, are forced to work together again to solve the brutal murders of the former cast of a beloved classic puppet television show. A hilarious buddy cop murder mystery comedy at heart, the film is unapologetically bold and keeps audiences entertained from start to finish. 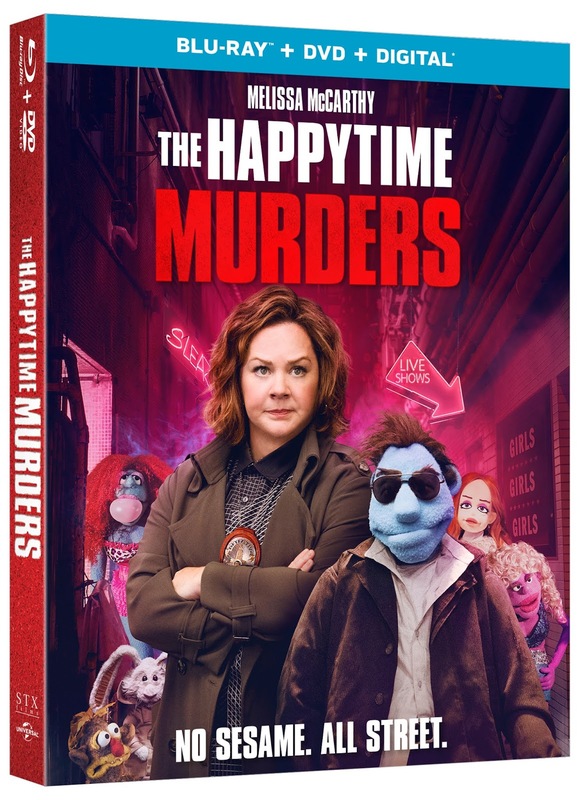 Packed with clever improv and shocking humor, The Happytime Murders on Blu-rayTM, DVD and Digital showcases side-splitting bonus features including deleted scenes, a gag reel, feature commentary with filmmakers and cast, and special featurettes that take fans further into the twisted and scandalous world inhabited by both humans and puppets. The Happytime Murders will be available on Blu-ray™, DVD and Digital. Rating: R for strong crude and sexual content and language throughout, and some drug material.